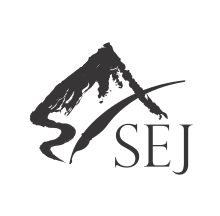 “The Society of Environmental Journalists is now accepting proposals for story grants on biodiversity. “Journalists, students and activists can apply for this workshop. Periodistas de a Pie organizes "Geographies of violence or how to cover femicides in Mexico" March 23 in Mexico City. Journalist Lydiette Carrión will teach participants five basic steps to cover this type of crime in a responsible manner. “As it has for the last several years, AEJMC is partnering this year with the Urban Communication Foundation in the awarding of the Gene Burd Urban Journalism Award. This $5,000 award recognizes high-quality urban media reporting or critical analysis relevant to city problems, programs, policies, and public priorities in urban life and culture. The award, for an individual with a distinguished record of work in urban journalism, will be presented at a special ceremony during AEJMC’s annual meeting in Toronto. The winner’s presence at this ceremony is strongly encouraged; both travel and hotel accommodations will be funded. This year, for the first time, the recipient will be selected by a joint panel of Urban Communication Foundation representatives and AEJMC members. We’re also hoping to increase AEJMC members’ participation in the nomination phase of the award process. That’s why I’m writing you today. I'm hoping that you or other members of the MAC Division might know of an urban journalist deserving of this award.